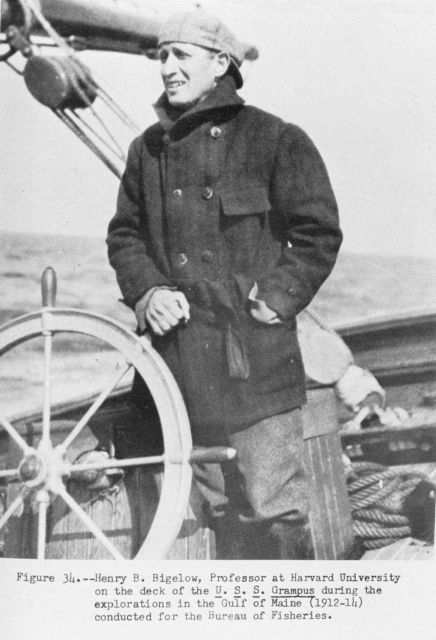 Henry B. Bigelow, Professor at Harvard University on the deck of the U.S.S. GRAMPUS during the explorations in the Gulf of Maine (1912-14) conducted for the Bureau of Fisheries. P. 81. “The Story of the BCF Biological Laboratory Woods Hole, Massachusetts,” by P. S.